Across the south east, councils are increasingly taking the lead on the development of new neighbourhoods, facilities and homes, either as sole developers or in partnership with the private sector. 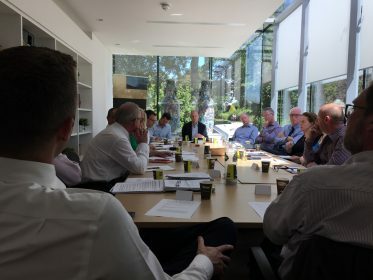 This Kent Design roundtable will consider how councils are evolving to enable them to assume this role, not least in their attitude and management of risk but also in the development of corporate structures to support for what is many, a new area of activity. The benefit is greater control over developments, including control over design quality. But how is this best delivered, and what are the tangible benefits for quality of place? This roundtable will provide a platform for a cross-sector discussion on the issue, enabling Kent and Medway’s local authorities and private sector partners to share their knowledge and learn from others. The roundtable will be chaired by D:SE Director, Chris Lamb, and will use Chatham House Rules.